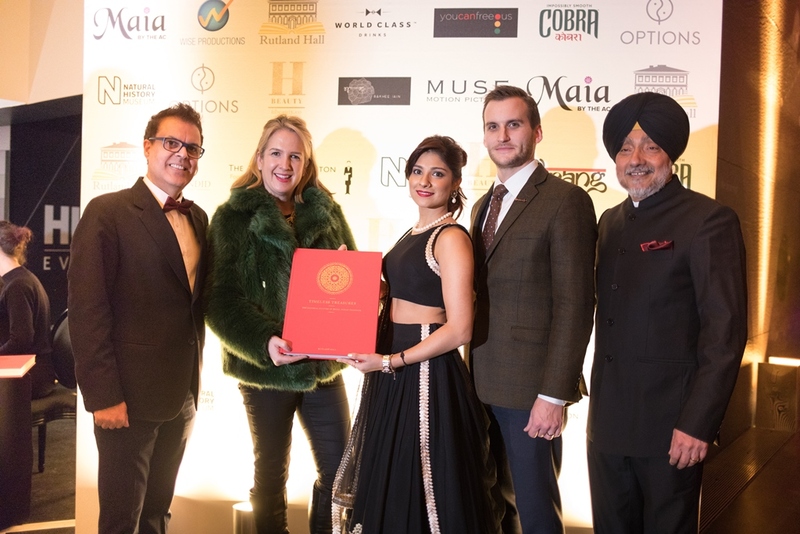 Timeless Treasures – a heavy, coffee table book on the material culture of regal Indian weddings was launched amidst great pomp and grandeur at the Natural History Museum, by London based publisher Rutland Hall. The highly visual large-format publication comprises unique pictures and stories of weddings in the royal families across India from the late 19th century to the present day. It is a thoroughly researched historical account of the Maharajas’ weddings, illustrated with rare or never-before-seen archival images. Deepika is a historian and curator who came across these priceless pictures while researching at the Mehrangar Fort in Jodhpur. Through her years of study and documentation, she developed close ties with the royal families in India, and used her friends and connections to archive the stories on royal weddings. “My remit is to provide a background to how royal weddings took place. The overall concept is a way of looking at continuity in a wide lens,” she said. “My target audience is the global diasporic couple.” By illustrating the evolution in wedding trends in India, from its princely past to its modern avatar, Timeless Treasures aims to help the new discerning global Indian to plan and execute the most glamorous, stylish and memorable weddings in history. The second part of the book features an exclusive selection of contemporary luxury brands that embody the ethos of the regal Indian wedding, including couture houses, jewellers, and iconic wedding destinations – that were compiled by the publishers. The publishers Rutland Hall was formed to create large-format illustrated books with the ethos of publishing creatively edited, inventive, books from world-renowned historians and curators. Becki Bishop, Founder of Floco, a company specializing in Asian wedding flower decorations bought the book at the launch. “It would make the most beautiful keepsake, gift and reference book for a newly-engaged couple planning a wedding,” she said. “I find the historical part very interesting, beautifully extended with illustrations, I feel the passion in the academic inputs and loved reading it. I will look at it as an inspiration and reference,” Becky said.